Stoneflies are a primitive group of insects named for their habitat of crawling on stones in a river. Most stoneflies have high oxygen needs, restricting them to clean well-oxygenated streams. Because of this, they are good indicators of stream quality. Some stoneflies hatch in winter which is why Friends of the Rouge volunteers look for them in January (info on events). Stoneflies resemble mayflies but have longer antennae and two (rather than three) tails. 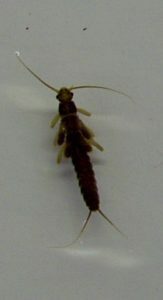 Five types of stoneflies have been found in the Rouge River through the Benthic Macroinverterate Monitoring Program.